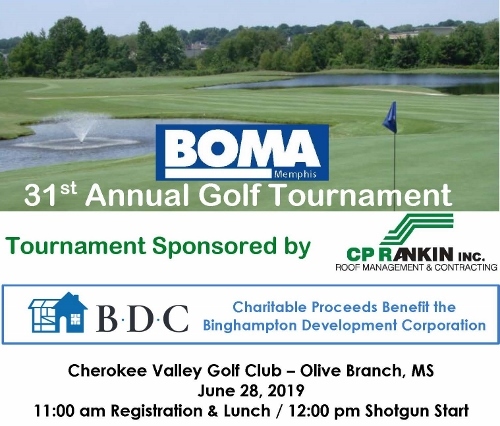 We are revving up to have the best golf tournament in BOMA Memphis history, and we would like for you to be a part of the action. Take a look at our golf packet for all of the available sponsorships and think about sponsoring a golf team as well. If you have not already signed up for a sponsorship or secured your golf team, fill out the registration form on the last page of the packet and email it back to [email protected]. A portion of our proceeds go to our charity, the Binghampton Development Corporation, so that they can continue their mission of rebuilding an important part of the Memphis landscape. To learn more about BDC, please visit www.bdcmemphis.org.